A beautiful forested area popular with mountain bikers. Approximate round trip from Buswell Street up to Rimmon Road along the Purple trail and back along the Blue trail. The park contains about nine miles of trails, and there are loops as short as 1.5 miles. The park has some significant hill climbs, interspersed with long level stretches. Terrain is packed dirt, tree roots, and large rocks, with occasional stretches of meadow grass. In two hours you can walk from the southern edge of the reservoir to the Route 313 border of the park and back. There are shorter loops available if you know where to turn, but you should consult a map beforehand: there are four-way intersections at which the blazes in all directions are the same color. 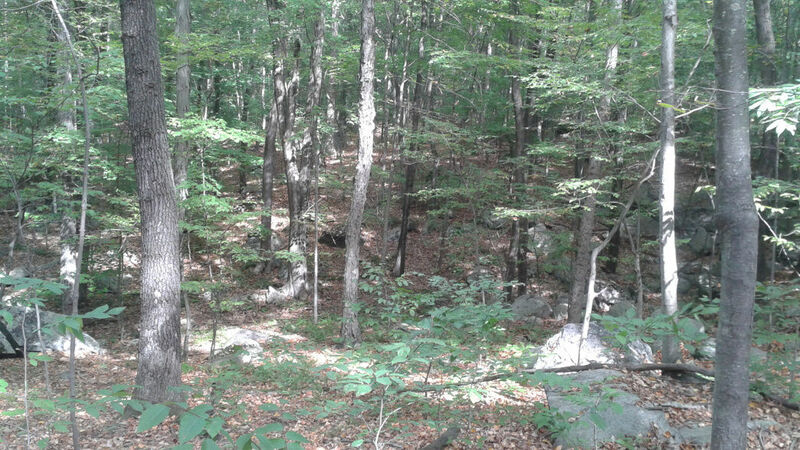 Naugatuck State Forest's 5,000 acres are organized into five blocks. 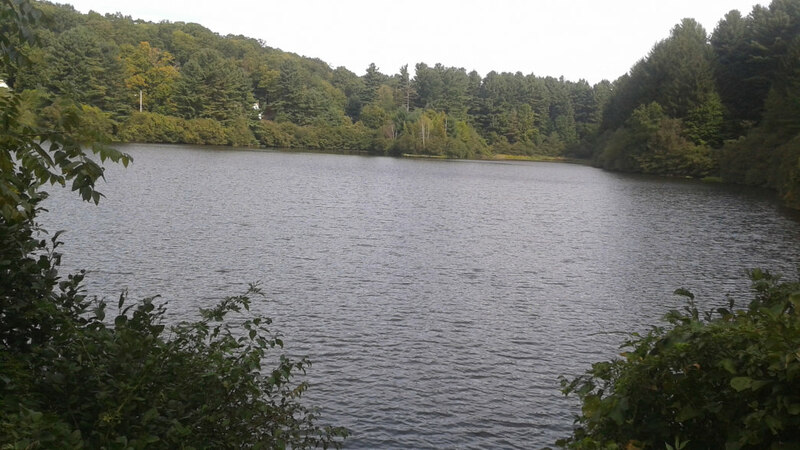 Most of the Quillinan Reservoir block is in Ansonia but it also dips into Seymour. The Purple trail is beautifully maintained and clearly labeled, though there are four-way intersections at which all four directions are blazed Purple. Other trails are well maintained but not as freshly or thoroughly marked. To add to the potential confusion, there doesn't seem to be an official trail map that is easily accessible. Fortunately, this is a beautiful place to wander. 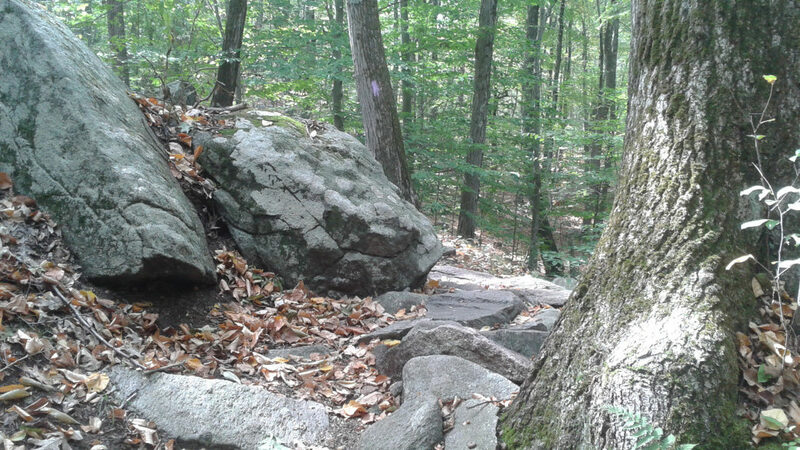 The trail designers seem to have put some effort into incorporating natural route between the trees and over rocks when possible, in addition to trails carved by clearing land. There are some gorgeous rock formations to look at and to climb over. Between the many stream crossings, the occasional meadows, and the variety of stages of forest development, there's something for every taste here, and plenty of opportunity to lose yourself in your surroundings. Even in the parts of the forest where you can hear distant traffic noise or the activity from the nearby shooting range, you'll still feel a world away from your daily life. 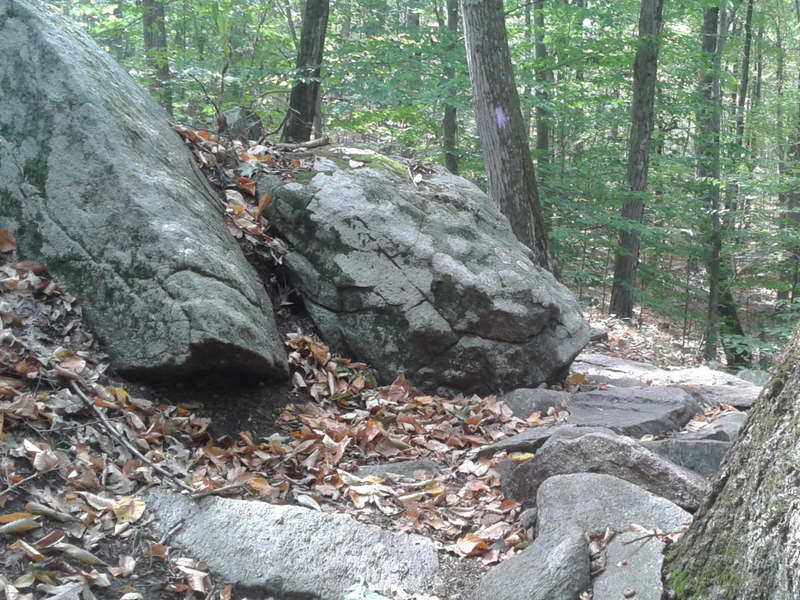 Mountain bikers love this park for its challenging terrain, well-kept trails, and rocky flow. Mountain bikers, hikers, and trail runners will all appreciate this park's ever-changing terrain. 3) The very end of Buswell Street in Ansonia (plug 51 Buswell St into your GPS). Hunting is permitted within the forest; see hunting map for restrictions.